This week we feature Chris Larson of Techsmith who talks about Snagit 2018, the new release of their screen capturing program. He even shares videos of his favorite new Snagit features. BrightCarbon, a UK design agency shares some amazing PowerPoint animated cards for Christmas and the New Year. Scott Wakefield talks about these cards, and why they are giving them away. Sharyn Fitzpatrick, one of our favorites talks how you can be well-prepared for a webinar. She speaks about an awesome checklist. Did you know that there can be three types of uppercase characters you can type within PowerPoint? This is one of those thoughts you have to share. And then we show you how you can use a $5000 font in your PowerPoint even though it is not installed on your system, and you don’t see it. But PowerPoint will still insist that the font is used! 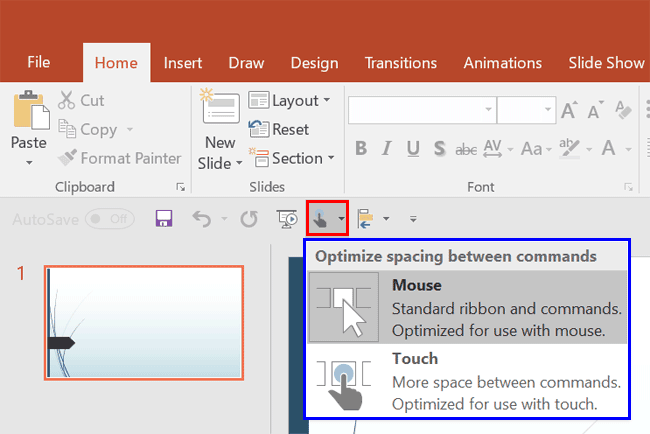 PowerPoint 2016 users who followed last week’s customization tutorials now can learn to add their own commands to custom groups on the Ribbon. When you are happy with your Ribbon customizations, you can Reset, Export, and Import them. We also explore the amazing Touch and Mouse mode toggle. PowerPoint 2016 for Mac users must explore the overlooked options within the Status Bar. For most Windows versions of PowerPoint, did you know that Microsoft provides STAMP, which means Sub-titling text add-in for Microsoft PowerPoint, and enables you to create captions for video and audio files within your PowerPoint presentations? And if that wasn’t enough for this week, make sure you do not miss the quotes, press releases, and templates released in the last seven days.